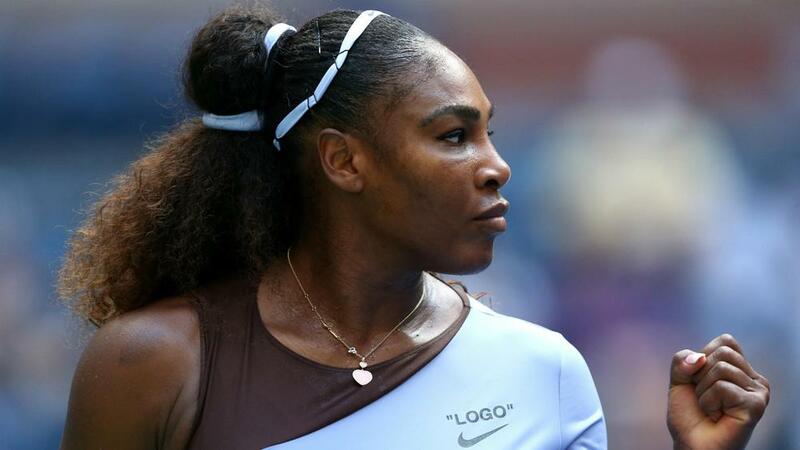 Serena Williams took another step towards a record-equalling 24th grand slam singles title on Sunday, beating Kaia Kanepi as yet another top-10 seed tumbled out of the women's draw at the US Open. Williams, who is only one shy of Margaret Court's record haul, looked in good form once again as she came through an absorbing clash with Kanepi, triumphing 6-0 4-6 6-3 to reach the quarter-finals. Karolina Pliskova, Williams' quarter-final opponent, and defending champion Sloane Stephens also progressed in the top half of the draw. Yet they are now the only single-figure seeds still in contention after Elina Svitolina lost in three sets to Anastasija Sevastova. Williams and Kanepi provided rich entertainment in their last-16 tie, the Estonian more than playing her part in an absorbing contest after being blown away in the first set. Former world number one Williams fired winners at will as she recorded a bagel in just 18 minutes, but Kanepi – another powerful operator – came roaring back to claim the second set, regularly drawing gasps of appreciation from the spectators inside Arthur Ashe. A major upset was staved off as Williams regained control in the third to triumph, but both competitors could certainly be satisfied with their performances. Next up for Williams is a clash with the last player to beat her in New York, eighth seed Pliskova. The 2016 runner-up proved clinical in a 6-4 6-4 win over Australia's Ashleigh Barty, saving eight break points and converting the two chances that came her way. Pliskova beat Williams at Flushing Meadows in 2016 and is hopeful she can repeat the feat against the tournament favourite. "I won, because I believed I have a chance. I have a game to beat her," said Pliskova. Like Pliskova, Sevastova is through to the quarters for the third year in succession. Curiously, she has never made it past the last 16 of any other slam. The Latvian came through a topsy-turvy clash with seventh seed Svitolina, prevailing 6-3 1-6 6-0. However, Sevastova is set to face an even bigger challenge on Tuesday when she faces Stephens, who beat her in a third-set tie-break at the same stage of last year's tournament. "I hope it's going to be on Ashe," said Sevastova. "And I hope we're going to play a good level, both of us, at the same time." Stephens was a comfortable 6-3 6-3 winner over Elise Mertens in the last 16 as the Belgian delivered an error-strewn display on Ashe.